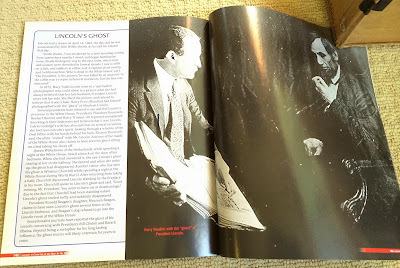 Here's one that might have slipped past you Houdini periodical collectors last year. 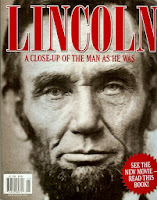 This special LINCOLN magazine was released by Hudson Publications as tie-in to Steven Spielberg's Lincoln biopic in 2012. On page 140 is an article titled "Lincoln's Ghost" which uses the famous spirit photograph of Houdini and the late President. The photo also appears in the Table of Contents. Houdini called Abraham Lincoln "my hero of heroes." 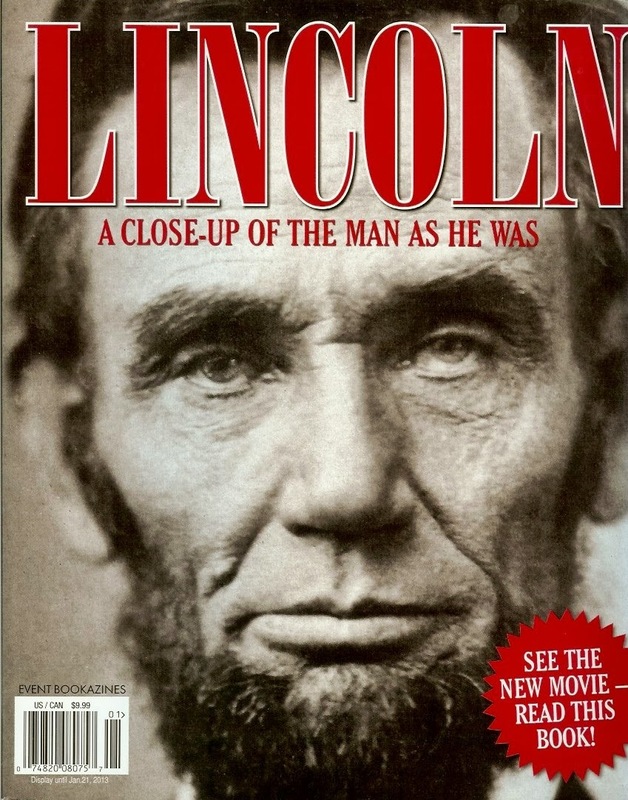 He owned a large collection of Lincoln material, including letters, and also material related to John Wilkes Booth and the Booth family. He also corresponded with the President's son, Robert Todd Lincoln. Houdini's Lincoln collection is now housed in the Library of Congress. The photo here is one of several the magician made. Thanks to my friend and talented artist Ron Mondz for this find.